The East Asian order is in a period of transition. 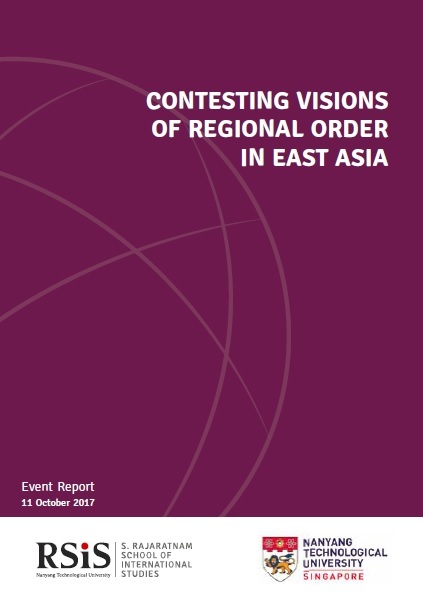 The current key strands of the regional order include: (i) the US-led hub-and-spoke system of bilateral alliances; (ii) the rise of a Chinese-led order comprising the Asian Infrastructure Investment Bank and the Belt and Road Initiative; (iii) the multilateral architecture centred on the Association of Southeast Asian Nations (ASEAN); and (iv) emerging minilateral mechanisms to address specific regional challenges. Points of both divergence and convergence exist across these elements. Regional stakeholders have a common interest in maintaining peace and stability in East Asia, but differ on the extent to which the current order needs to be changed to achieve that goal. Much about the approaches of the US and China towards the East Asian regional order, as well as their attitudes towards the other’s role in the region, remains uncertain. While there are clear differences between the American and Chinese visions of the regional order, it is uncertain if these differences will lead to an actual conflict. The US remains the preponderant power in the region by far, and has a vested interest in the continuation of a strong hub-and-spoke system. The Trump administration’s perceived turn away from multilateralism, however, has raised concerns about their country’s commitment to existing regional institutions. Meanwhile, China appears to be aiming for a bigger voice in the region with the establishment of its own institutions and strategic partnerships. Nevertheless, the extent to which China wants a complete overhaul of the existing regional order and its institutions is debatable. To manage the effects of major power competition in the East Asian order, regional and middle powers have adopted a flexible approach in their regional strategies and enhanced interstate relations among themselves. These efforts include strengthening cooperation through ASEAN-led platforms and initiating minilateral mechanisms with like-minded states. Nevertheless, for traditional US allies such as Japan and Australia, their respective bilateral alliances remain a priority and they are likely to work towards ensuring the US stays committed and present in East Asia. ASEAN is facing challenges to its centrality and unity, and the 10-member association risks having to choose between the US and China. Given the Sino-US competition for regional influence and leadership, it is critical for ASEAN and its member states to think of alternative ways to deal with the changing strategic landscape. These could include the “ASEAN minus X” model, or diversifying the economies of ASEAN countries to decrease their reliance on a single major power. Such strategies might help to maintain ASEAN’s centrality in the multilateral architecture, and allow it to preserve its own norms and mechanisms in the region vis-à-vis the major powers.